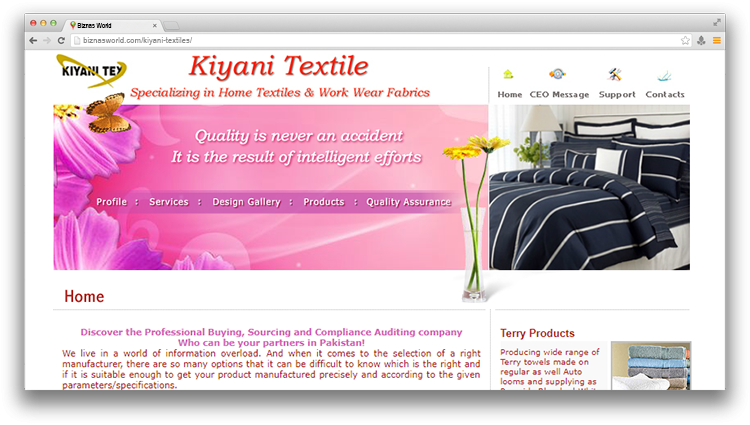 Description Kiyani Textiles is located in Faisalabad, Pakistan. Company is working in business activities. Address 2nd Floor Hashim Center, 45-z Commercial Center, Madina Town Faisalabad.